The countdown has started for the launch of our latest book, INTO THE AMERICAS (A novel based on a true story), with publication scheduled for next week. Twelve years in the making, it’s a gritty, real-life adventure based on what must be one of history’s greatest wilderness survival stories. 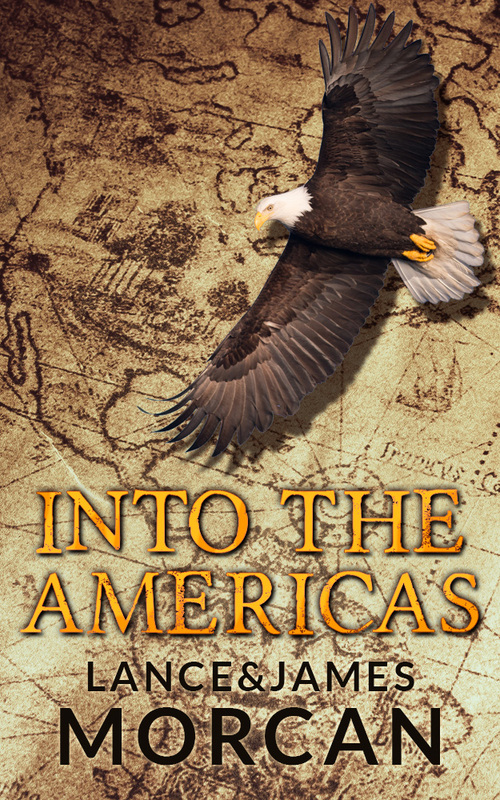 Cover reveal for Into the Americas. Into the Americas was inspired by the diary entries of young English blacksmith John Jewitt during his time aboard the brigantine The Boston and also during his sojourn at Nootka Sound, on North America’s western seaboard, from 1802 to 1805. Written by father-and-son writing team Lance & James Morcan (authors of The World Duology and The Orphan Trilogy sets of novels), Into the Americas is a tale of two vastly different cultures – North American Indian and European civilization – colliding head on. Young John Jewitt is one of only two survivors left alive after his crewmates clash with fierce Mowachaht Indians on the west coast of North America. A life of slavery awaits John and his fellow survivor, a belligerent American sailmaker, in a village ruled by the iron fist of Maquina, the all powerful chief. Desperate to taste freedom again, they make several doomed escape attempts over mountains and sea. Only their value to the tribe and John’s relationship with Maquina prevents their captors from killing them. As the seasons pass, John ‘goes Indian’ after falling in love with Eu-stochee, a beautiful maiden. This further alienates him from his fellow captive whose belligerence leads to violent consequences. In the bloodshed that follows, John discovers another side to himself – a side he never knew existed and a side he detests. His desire to be reunited with the family and friends he left behind returns even stronger than before. Into the Americas has been adapted to a feature film screenplay and is in early development with Morcan Motion Pictures. In the tradition of classic historical films such as The Last of the Mohicans, Gladiator and Braveheart, it has epic themes that will appeal to mainstream audiences everywhere. So looking forward to this new one!